Content on the internet is a lot like bread. If you leave it out too long, it gets stale and no one wants to eat it. When we post online, it’s difficult to make it evergreen to the point where it never becomes outdated. Instead of trying to make everything invulnerable to age, you should instead look for opportunities to update your older content. Not only does this benefit your readers, but it also improves the SEO of your pages. In fact, there are ten major reasons why you should be doing this for SEO purposes. Today we’ll look at these reasons and how you can truly refresh your content in the process. When you’ve finished starting a blog and Google first indexes a post, it assigns an “inception date.” This applies to a freshness score that slowly decays over time. As it becomes older, that particular piece of content will start to rank less for certain keywords as newer content replaces it. Just because your content hit the top of a specific search query, doesn’t meant it will stay there. Old content can be ousted by new content, even if it’s amazing. While the inception date concept may have you thinking there’s no avoiding a decay in freshness, you’ll be glad to know that Google also looks for content that changes as opposed to something that stays static. Of course, the amount of changes matters. In some cases, a small amount of change won’t elicit any response. Google looks for large changes to one part of the content, or a variety of changes throughout. Instead, you should focus on the main body of text in a post. Simply changing a few links won’t signal new freshness. There’s a difference in how Google looks at pages that are changed frequently, and pages that aren’t updated as often. The way a news page is indexed is different than, say, the page of a static business website. One is updated daily, while another rarely changes. There’s also more importance assigned to pages that change less frequency, but when they do, it’s substantial. That’s why a page of daily headlines won’t get the same attention as a long-form piece of content that drastically changes every few months. Websites with high freshness ratings will often create entirely new pages to remain relevant. 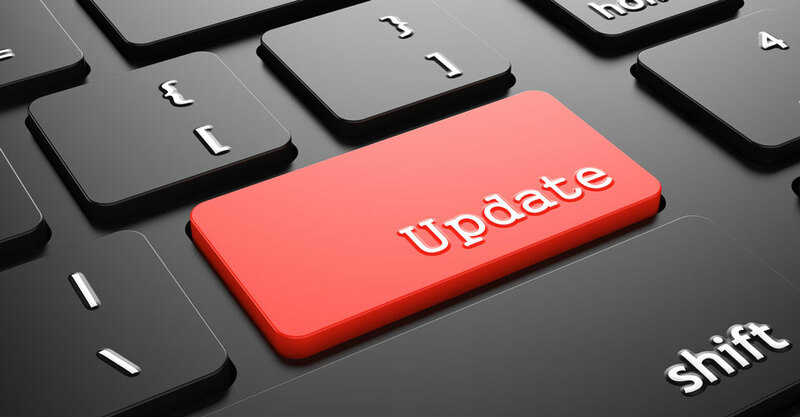 Since there’s a bit of mystery as to what Google defines as an update on a page, this is a more surefire way to ensure you have something new to index and ultimately add to your SEO. This is why blogs are successful, because they add pages at a more consistent rate. The amount of pages to add each year varies. It’s best to utilize other freshness indicators as well, than depend solely on something like this. There are external signals that define freshness as well, and this is where we find a clever way to make a page appear fresher. According to Google patents, if you earn links from pages with high freshness scores, it passes that boost on to your page as well. The relative growth of these links is also an ongoing benefit for your SEO. It’s worth noting, however, that you should also avoid a massive surge in new links pointing to the page. This could be perceived as spam by Google and earn you a penalty. We’re all familiar with click-through rates in terms of measuring a site’s metrics, but did you know that these clicks and the time spent on the page are interpreted as freshness factors? Indeed, the amount of time users spend on certain search results indicates whether something is fresh and relevant. This has to occur over a set amount of time for Google to take notice, but suffice to say that if people are clicking on your links and sticking around, it’s a good indicator that you have content that is both current and relevant to their needs. From time-to-time, you may need to change the subject of a page entirely as time goes on. When this happens, you’ll also be changing the anchor text for links. Backlinks pointing to the page will also adopt this new anchor text. This isn’t something you can control, but it’s worth taking into consideration. As the anchor text shifts, new links will have a revitalized freshness factor. The older anchor texts for the previous version of the page become stale and this will cause them to lose their value. You should keep the subject of a page intact when you’re applying updates. If you move too far from the original topic, you risk devaluing your backlinks to that page. While updating older content can absolutely boost your SEO, you should take care not to mess with documents that have aged well and taken on a vintage if you will. Depending on the subject, Google will prefer older content because it has better results. With situations like this, don’t go updating pages that are already ranking well. You may do more harm than good. As you can see, updating content without any planning in place can cause issues. Our final reason here is that some quick planning and analysis can give you the power to boost your SEO using the content you already have. Don’t make small changes expecting big changes. Examining these facts determined from Google’s patent documents, we can see that there’s a lot of SEO potential in updating old content. How do you approach freshness and content updates? Let us know in the comments!